Live Greek entertainment @ the Olympia Restaurant’s Zorba Room could not accommodate the growing live Greek music scene. So in the summer of 1974, Socratis Tingas & Peter Cocalis bought the vacant adjacent building and transformed the building located at 437 Market Street, Lowell, MA into a function hall that could accommodate up to 300 people for functions. The renovations for the New Zorba Room were completed in 1975 to supersede what is now the Acropolis Room. 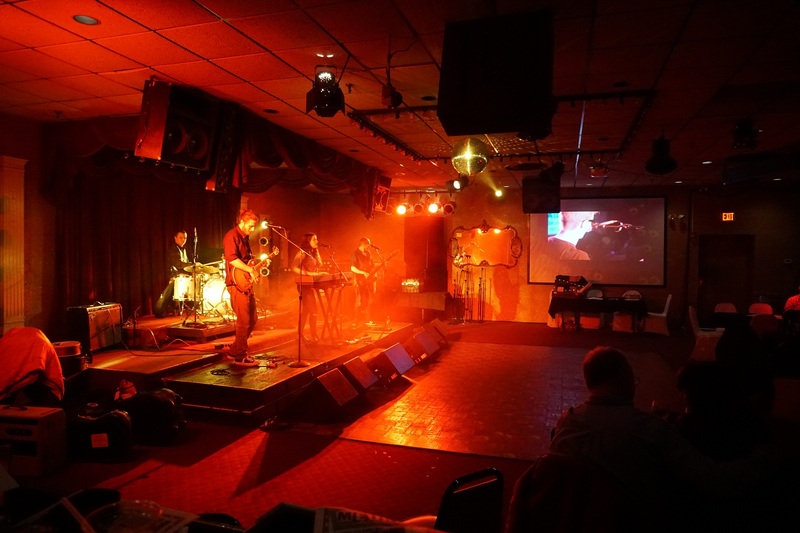 Olympia’s Zorba Music Hall is available for private parties of up to 300 people, the entrance is located in the parking lot. The hall is available for both public and private events that include live bands, DJs, comedy and much more. The Zorba Room is now known as the Zorba Music Hall. Some of the most recent shows include: James Montgomery, Lydia Warren, The Uptown Horns, Booty Vortex, , Pat Green, Bobby Carlson & The Stones River Band, Joe Moss and many more. Entertainment varies on a weekly basis, so please go to our Upcoming Events page for upcoming shows. Many well known movie stars & musicians from Greece were brought to the New Zorba Room including but not limited to the folowing: ΔΙΟΝΥΣΙΟΥ, ΚΟΝΤΗΣ, ΧΑΔΟΥΛΟΣ, ΜΑΡΙΑ ΚΑΡΡΑ, ΦΛΩΡΙΝΙΩΤΗΣ, ΚΟΙΝΟΥΣΗΣ, Mary Linda, Nikos Ksanthopoulos, Nikos Kritikos, Giorgos Mitsakis & Anna Marianna. © 2019 Olympia Restaurant Inc.